Hurricane Harvey has devastated the coast of Texas as the strongest hurricane to hit the U.S. in more than a decade. Over the past week the hurricane dumped an estimated 27 trillion gallons of water over Texas and Louisiana causing catastrophic flooding and damage in major cities like Houston. Tens of thousands of people were rescued and there were billions of dollars in losses due to the hurricane. Families in Houston are now having to return to flooded and destroyed homes while others throughout Texas remain in shelters. The death toll in Texas has reached 45 and survivors are now dealing with aftermath of what they have experienced as a result of the disaster. Along with physical damage to property and a massive cleanup effort, Texas residents must grapple with the psychological toll that the hurricane has had on them. Natural disasters are known to cause long-term health problems due to injuries, respiratory problems, contamination and infection. Studies also confirm that following a major disaster like hurricane harvey there tends to be a surge in mental health diagnoses. Six months after serious flooding in Mexico in 1999 a quarter of the affected population still had symptoms of depression and trauma. Those who experience the worst aspects of flooding such as flash floods, mudslides, witnessing injury or death and displacement tend to have higher rates of mental health issues. Months after floods in Thailand people who had more harrowing experiences were four times more likely to have post-traumatic stress disorder or depression. After hurricane Katrina even respondents and New Orleans police officers had symptoms of PTSD several months following the event. Suicide rates also spiked in New Orleans in the first three months after the hurricane and rates of PTSD were higher than normal among workers in the city. Children can be especially affected by natural disasters even if they haven’t experienced the flooding firsthand. Those that witness the flood may have issues with trauma and but may eventually be able to bounce back once life returns to normal. However, with the extensive damage caused by hurricane harvey many children are not able to return to school and their everyday life until buildings are repaired. Studies have shown that after experiencing Hurricane Katrina many children became more aggressive. In a survey of nearly 5,000 children affected by Katrina, 42 percent of them met the cut-off for a mental health referral. However, the psychological impact on children was also related to the stability of their broader environment. Children who have close relatives that relocate following a storm or whose parents experience economic strain tend to have greater signs of stress than those who have more stability following a disaster. Being able to attend school is also a source of stability so children in Houston whose schools are closed may experience more stress because of the changes in their routine. Mental health experts are already on hand in many of the shelters in Houston to try to help people cope with the trauma that they have experienced. Psychiatrists are helping evacuees by looking for anyone who seems tearful, anxious or nervous or anyone who is having panic attacks. These professionals are providing the opportunity for anyone who is struggling to talk to a therapist about their experiences or get a refill on their medication if necessary. 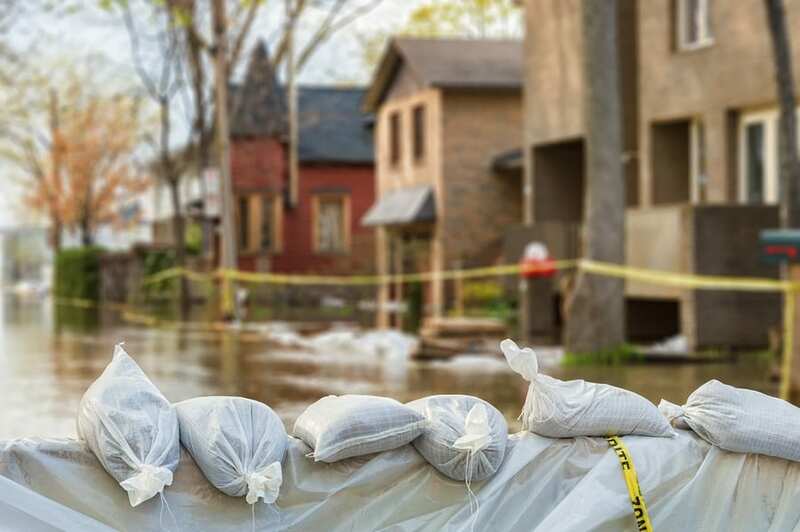 After a natural disaster, some common reactions include intense and unpredictable feelings, changes in thoughts and behavior, as well as physical symptoms from stress such as headaches, nausea and chest pains. Children may become moody or anxious and have trouble sleeping. It is important for mental health professionals on hand in shelters to help people feel safe. People who experience these symptoms for the first few days after the disaster may just be suffering from an acute stress reaction. However, if these symptoms persist for more than a month than it may indicate a problem with PTSD. If the symptoms never subside then it is important to seek a mental health professional to receive a diagnosis. PTSD, even following a major natural disaster, is a treatable mental health condition. Treatment programs that specialize in post traumatic stress disorder can be very helpful for flood victims. With regular therapy sessions and access to a qualified counselor, survivors of the hurricane will be able to recover in time.